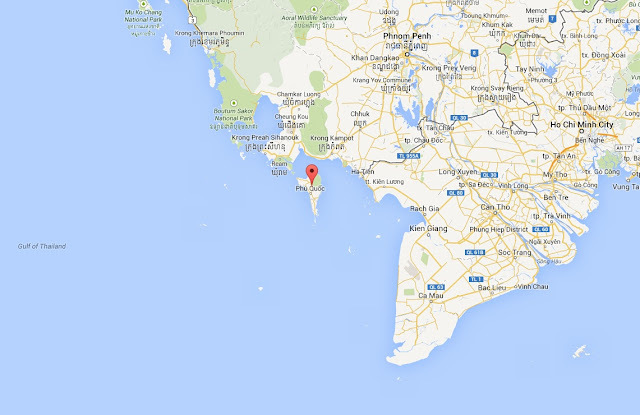 Phu Quoc is an island off the coast of Cambodia in the gulf of Thailand that became part of Vietnam while the French administrated the region and has remained so ever since. It is very close to Cambodia - you can see the mainland from the North West of the island - but can be reached by fast boat in around 2 1/2 - 3 1/2 hours from the towns of Ha Tien and Rach Gia in the Mekong Delta, or by plane from Saigon (1hr). Due to the political sensitivity of the island it was largely dominated by the military for much of recent history and has only in the past decade or so begun to develop. As a result the majority of roads are unpaved and most of the island is covered in lush forest. As we write the island remains a tranquil paradise, with just a smattering of hotels and resorts and many beautiful, quiet beaches that look out onto the calm glassy waters of the gulf of Thailand. So far development on the island has been slow due to the cost of shipping materials to the island and the small airstrip limiting the size of plane that can land - and so the number of visitors that can fly to the island (for this reason you should always book your trip to Phu Quoc well in advance!). Yet this is due to change. 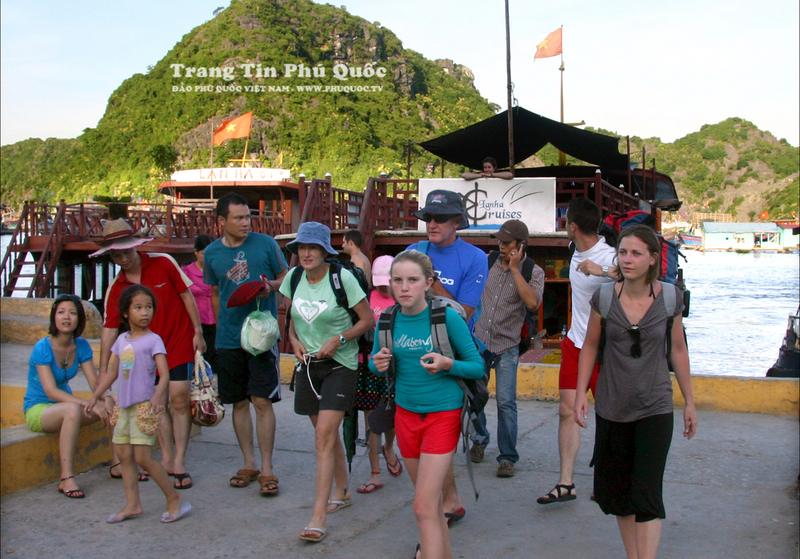 Comparisons have been made between the size of Phu Quoc, its appeal to tourists and areas such as Phuket, Koh Samui and even Singapore, and big plans are underfoot. An international airport and short-term visa exemption is planned for the island to allow larger planes filled with package tourists to land, and it is thought the character of the island will change significantly as the investment floods in and Phu Quoc becomes one of Vietnam's key beach destinations. With luck these changes will be reasonably sympathetic - the centre of the island is a national park and as far as we know it will remain so, meaning the interior will still be covered in thick forest - but we do recommend visiting now if you have the chance while Phu Quoc remains such a peaceful escape. There are a limited number of hotels on the island so once again do book in advance to avoid disappointment. The majority of hotels are based on Long Beach, a many miles long stretch of beach from the centre to the southern point on the western coast, which benefits from great sunsets in the evenings. 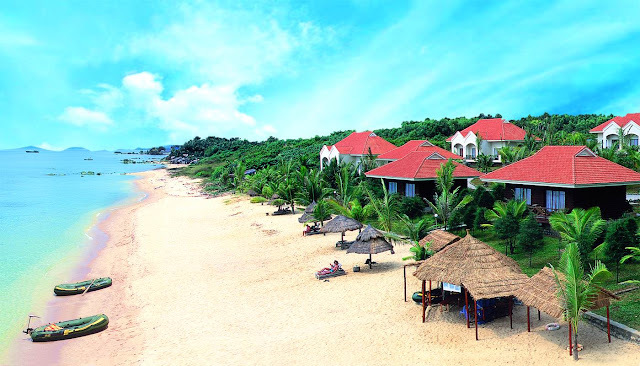 A few of the more upmarket, boutique resorts are based on and around Bai Ong (Ong Beach), on the North-West coast, and if you really want to escape from it all then Bai Sao on the South East has basic accommodation and perhaps is one of the most beautiful beaches on the island. If you're not content just watching the day slide by while eating delicious seafood and drinking beers and fresh coconuts there are a number of excursions you can do such as diving and snorkelling trips to coral reefs around a small group of islands off the southern tip. In the centre of the island are waterfalls and rock pools, as well as a crocodile farm that can be visited. The island is also famous for producing some of the best pepper and fish sauce in the world and plantations and factory tours can also be arranged. Many visitors rent a jeep or motorbike to get around the island but do beware - the roads are very dusty and covered in gravel and it is far from unusual that inexperienced motorcyclists lose a lot of skin or even break legs and ribs driving around the island - please, only rent a bike if you are a very competent rider. If that's not you then consider arranging for a minibus or taxi to take you exploring instead.